Our beliefs are very important to us. They define who we are as a church and what we do. Without them we would be just like any other club or organization. Below you will find brief statements on what we believe on the core issues of the Christian faith. We have a more detailed statement of faith (The Baptist Faith and Message, 2000) that you can access at this link https://s3.amazonaws.com/mychurchwebsite/c2856/scbc_statement_of_faith.pdf). 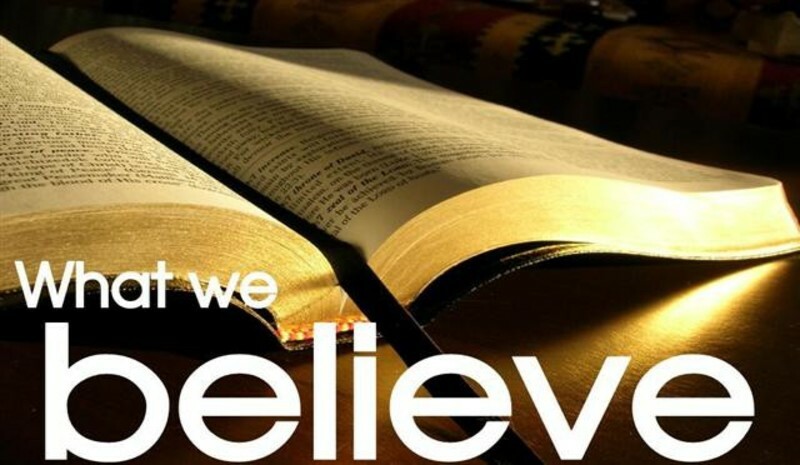 We believe the Bible to be the inspired and inerrant Word of God and the final authority for all matters of faith and practice for us a Christians. We believe God to be the one and only God who is the creator, sustainer, and preserver of everything that exists. We believe God to be totally perfect in all his characteristics and attributes, to be supremely holy (i.e. set apart from his creation), all-knowing, all-loving, all-powerful, and all-wise. We believe that God exists eternally (has always existed and will always exist) and that he is a trinity of three persons in one essence, the Father, the Son, and the Holy Spirit. We believe Jesus to be the incarnation of the Son of God, the second person of the Trinity. He was fully divine and fully human. He came to fulfill the righteous requirements of God's law and to offer himself as a sacrificial substitute for the sins of humanity. We believe that he died, was buried, and rose from the dead and then ascended in Heaven where he now sits at the Father's right hand. We believe that all people are made in the image of God and are therefore equal in dignity and worth. We believe in the literal creation of Adam and Eve, the parents of all humanity. We believe that God made Adam and Eve in a state of initial perfection, but that through their disobedience they brought sin into the whole world. We believe that every person born after Adam and Eve inherits a sin nature from our first parents and therefore we believe that every person is under God's just condemnation for sin. We believe that salvation has to do with the redemption of the whole person from the damaging effects of sin--redemption from sins penalty, power, and presence. We believe that salvation is only one way--through a personal relationship with Jesus Christ. We believe the Holy Spirit to be the third person of the Trinity who is equal in nature, power, and authority with the Father and the Son. We believe that the Holy Spirit is personally with us today and is the one who is responsible for convicting people of their sin, drawing them to Christ, renewing them internally, and guaranteeing the security of our salvation. We believe the Christian life to be one of progressive becoming more and more like Jesus through the work of his Spirit within us. We believe in the necessity of holding firm our confession of faith and of actively seeking to live a life under the Lordship of Jesus Christ. We believe that baptism is an act of obedience on the part of those who have placed their faith in Christ and is therefore a person's public confession and testimony of their saving faith. We believe that history is moving toward a definite end, guided by the redemptive plan of God whereby he will bring all things under subjection to the universal Lordship of Jesus Christ. We believe that Jesus is coming again literally and visibly and that in the end all those who are dead will be raised from the dead and Christ will judge all men in righteousness. Those who have not believed in Christ will be consigned to Hell, the place of everlasting punishment. Those who have believed in Christ will dwell forever with the Lord.